Here’s what’s come in during the Julie Mar trunk show. A bit of this and that. Variety in cavases is a comment I hear often at the shop, there’s just so many styles that intrigue me. I try my best to keep my eye on what’s new; but you’ll find so much more in my shop than the latest. Click on the links for more information on each or to purchase. Quick stitch key fobs, on 13 count. Finisher folds in half, binds the edge and adds a hefty key ring. Perfect for your sorority girl. New santa designs by Lee, a great way to practice new ways to stitch a beard. I love the breezy summer feel of this one, and whats up with all the pattern! Fish pieces below are just 2 in a collection of 8. These appear by customers now and again so I thought why not have them again. They suggest movement and mystery. I see lots of beads and metallics. A simple darning pattern or open stitch for the background in a black shimmery thread would make them so elegant. What appears to be black in the Lady with Lantern is actually a gorgeous dark blue violet color. Now that HP has retired their designs will be cropping up under several other designers. HP Lady with Lantern ~ ~ NOW owned by Barbara Russell! Back in stock Kelly’s Stumpwork Sampler. A great way to practice new techniques, includes the 5″ 7″ canvas. 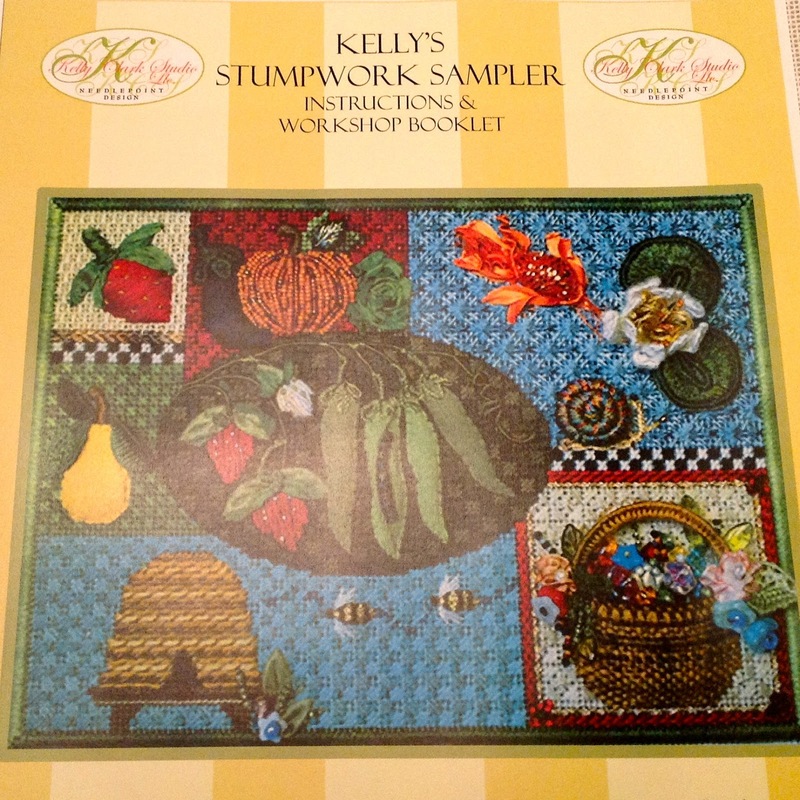 Kelly Clark Sweet Pea Sampler and Workbook $87. 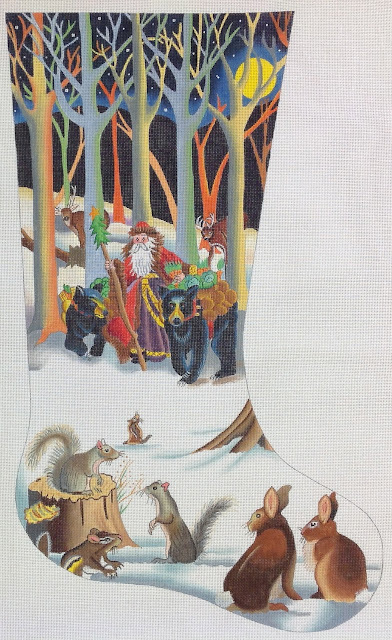 New stocking design by Lee’s. While I think the colors should be more muted I think its a wonderful design appropriate for anyone who prefers olde world.